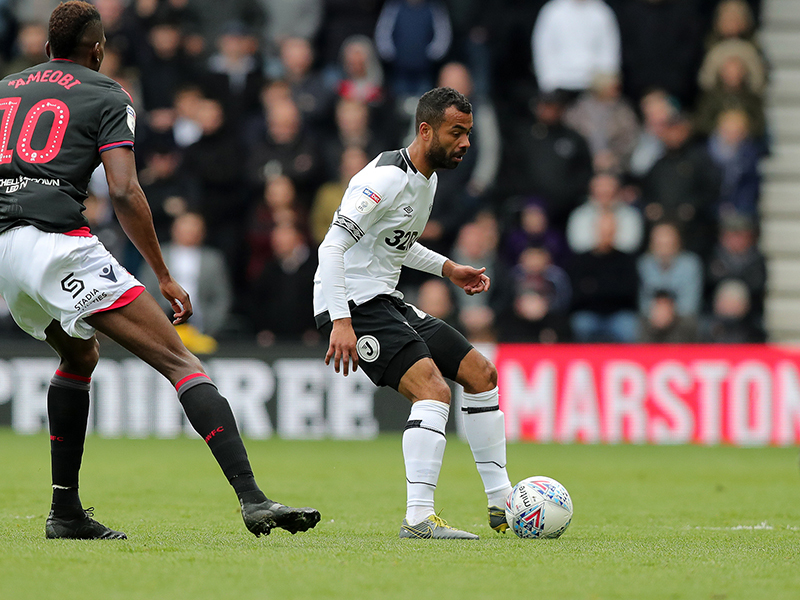 "We've Been Unstoppable At Home"
"There Are Many Twists To Come"
DCFC Megastore’s Mobile Retail Kiosk Has Moved! 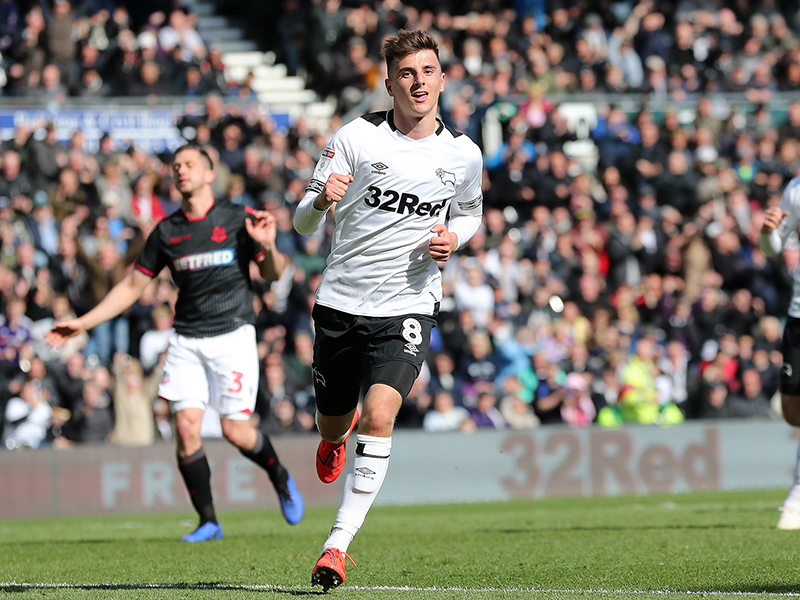 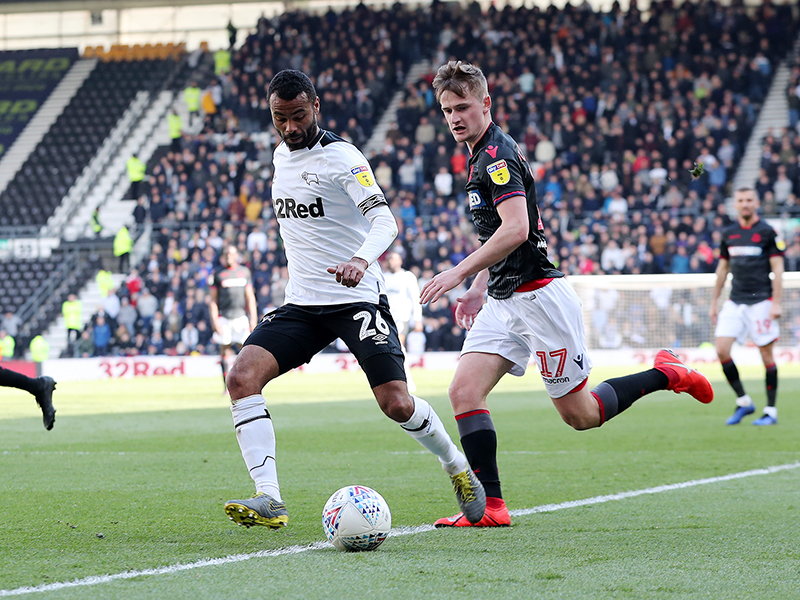 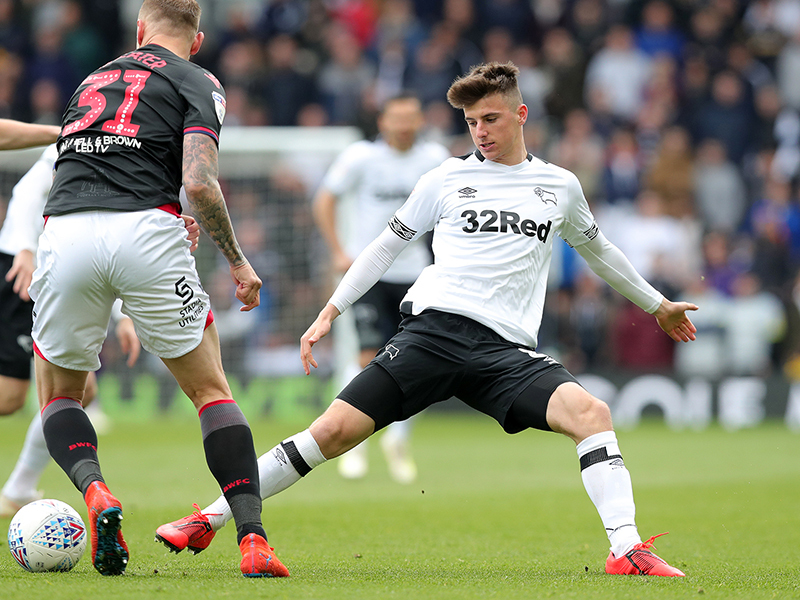 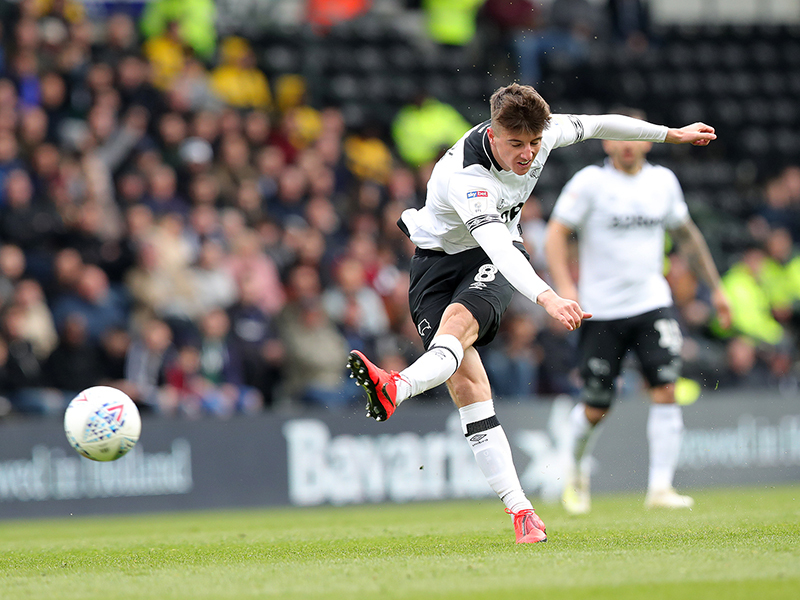 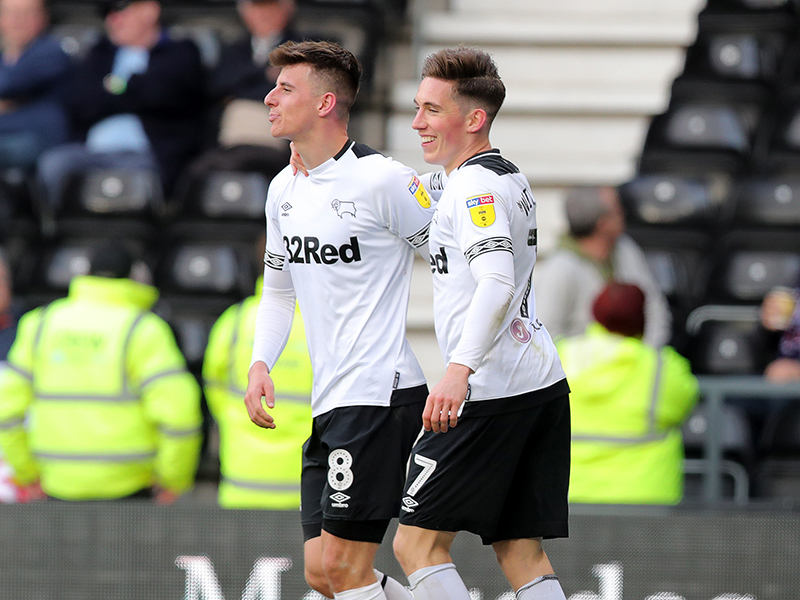 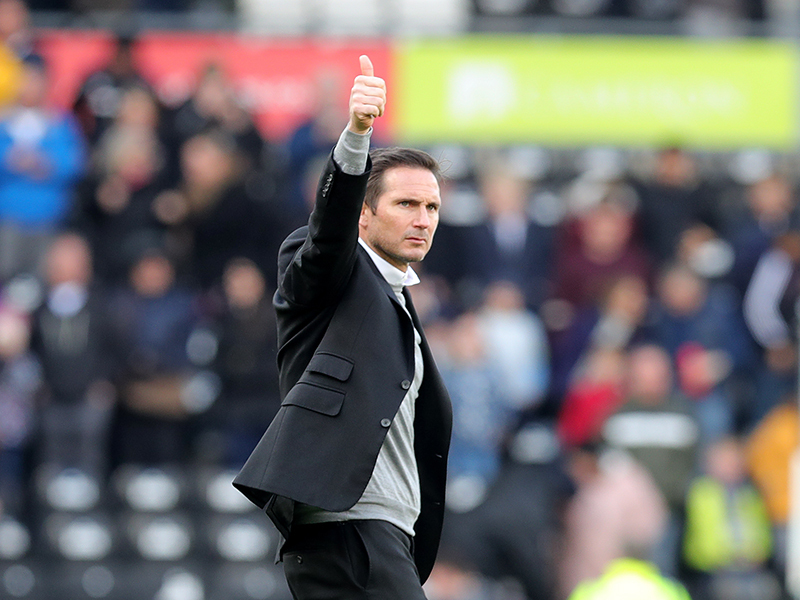 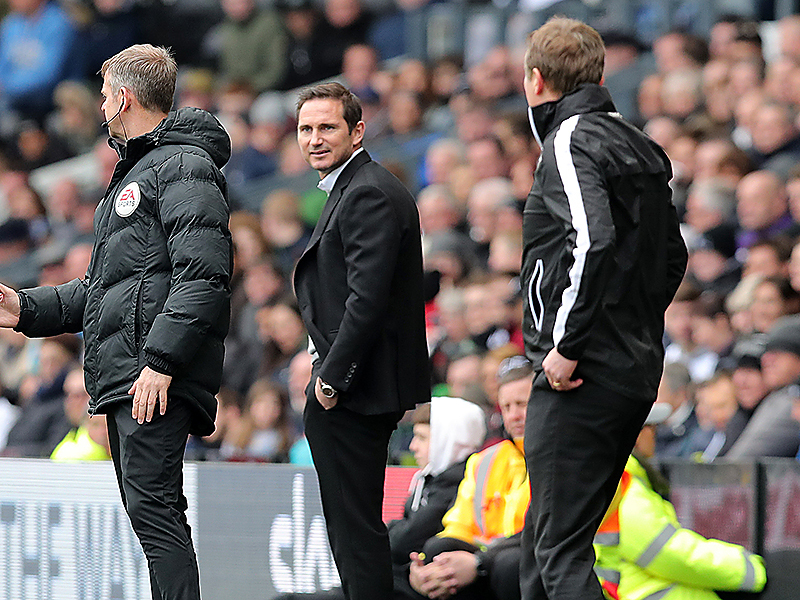 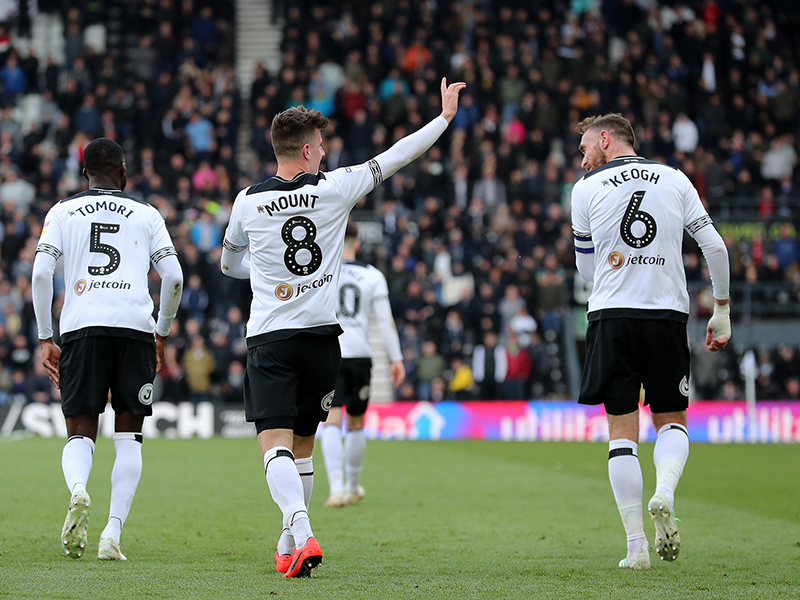 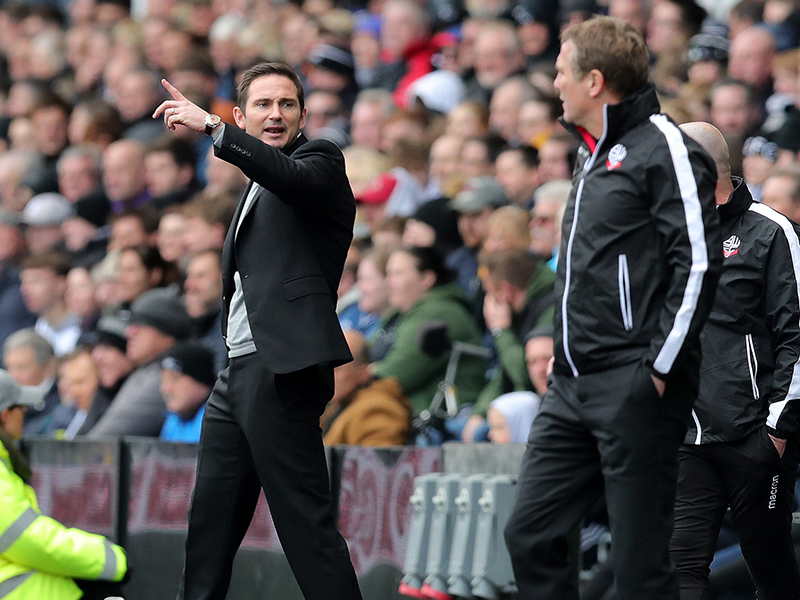 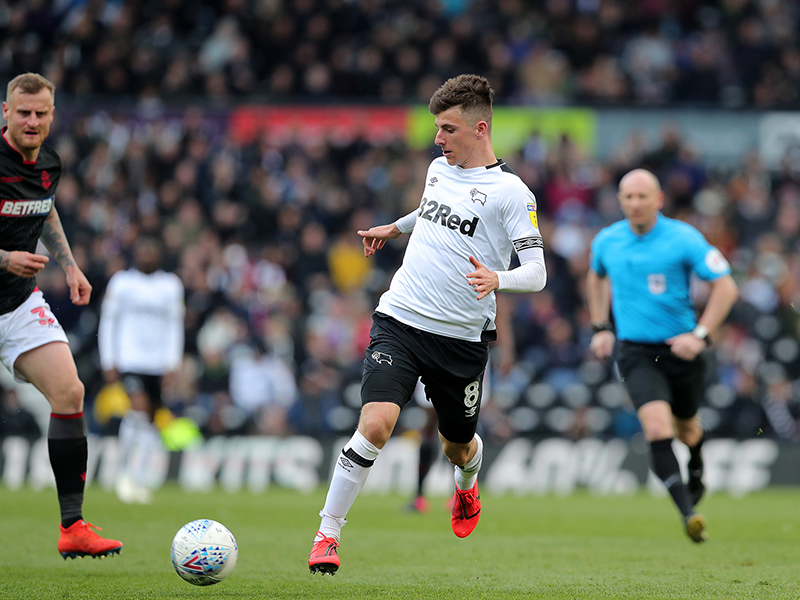 "There Are Crucial Points On Offer Over The Next 10 Days"
"Sticking Together Is Key At All Times"
"It's A Must Win And We Need To Put That Pressure On Ourselves"
Mason Mount’s hattrick finished off the job for Derby County in a 4-0 victory over Bolton Wanderers after Craig Bryson opened the scoring at Pride Park Stadium. 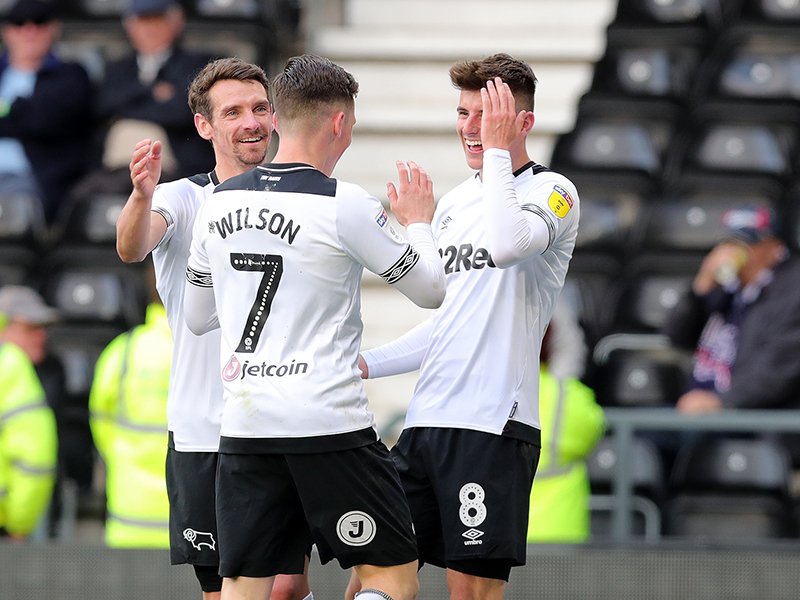 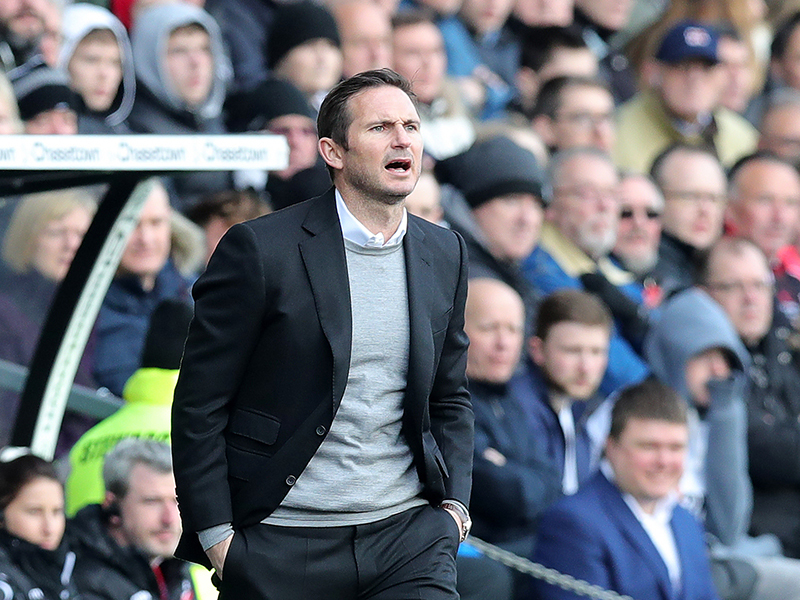 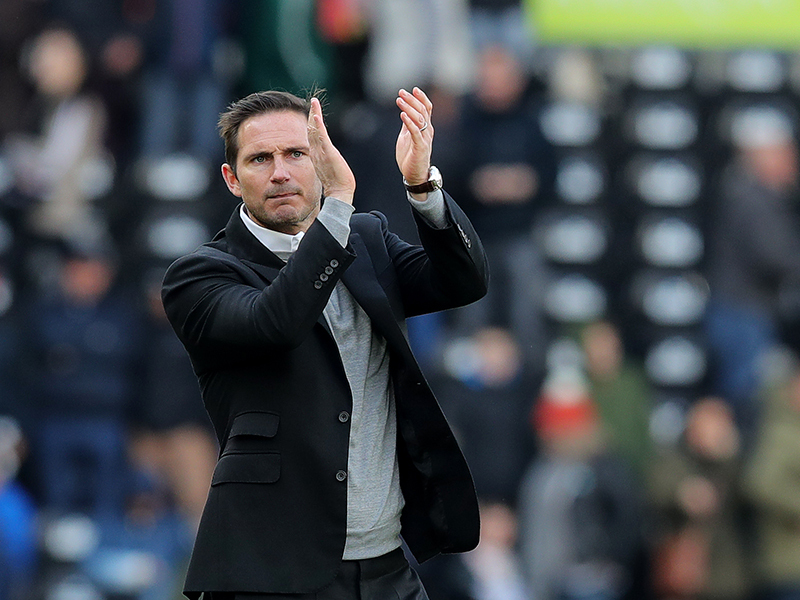 With five games left to play in the Sky Bet Championship this season, the Rams remain in eighth place following the win, but move to just two points behind sixth placed Bristol City. 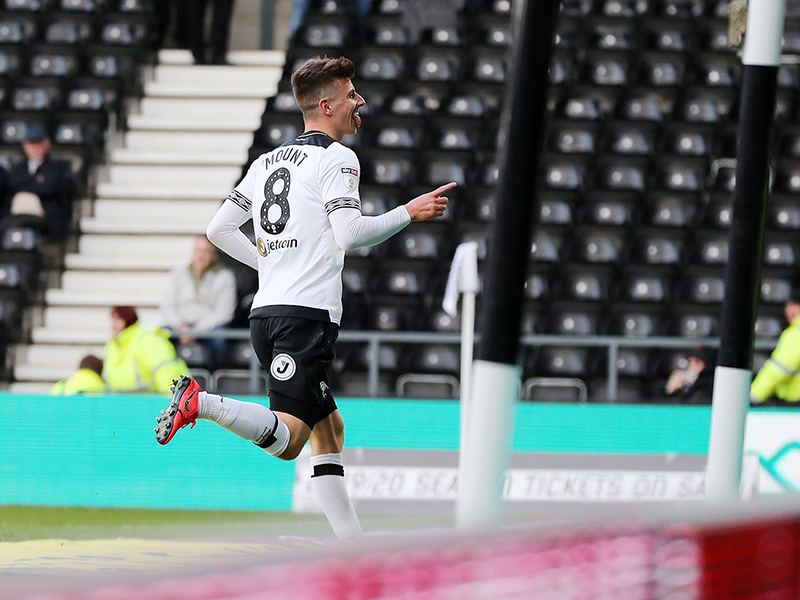 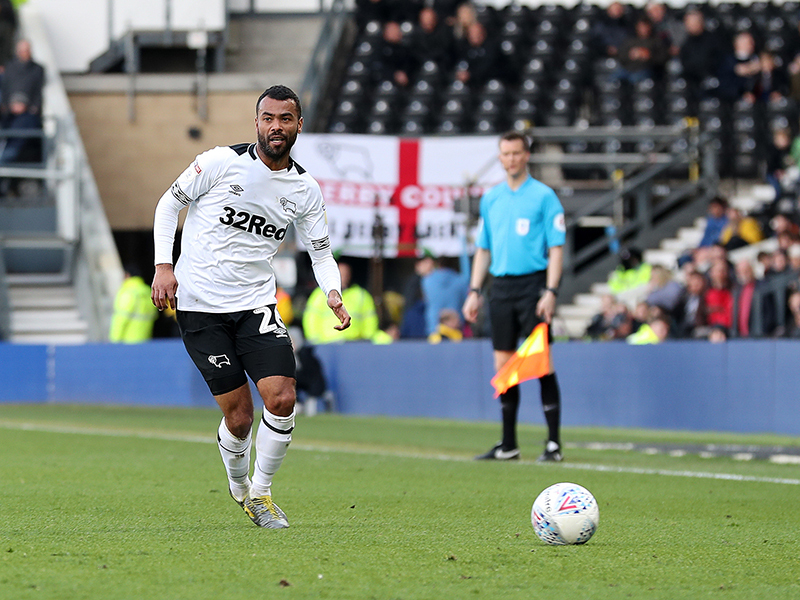 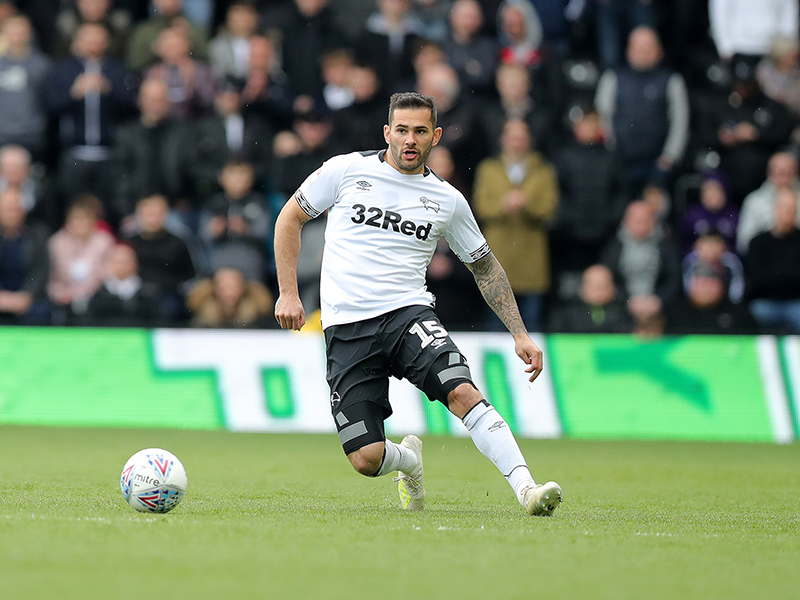 For back-to-back games, a Derby player has bagged a hattrick at Pride Park, with Mount following up from Martyn Waghorn against Rotherham United for his first ever hattrick in English football. 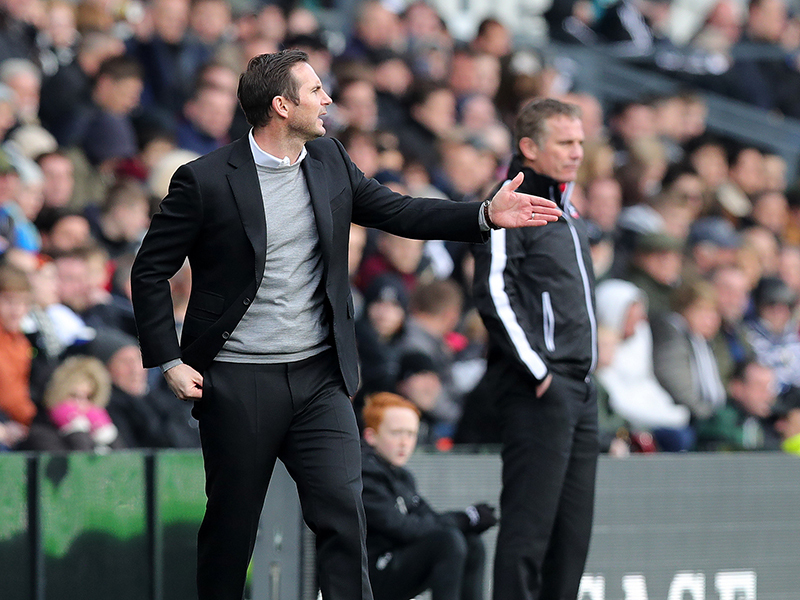 In the two home games since the international break, the Rams have scored ten goals and conceded just one. 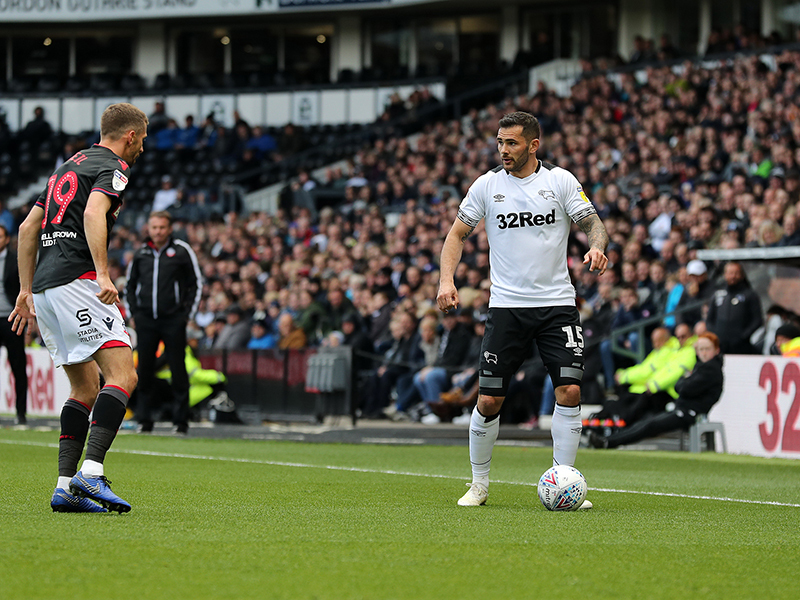 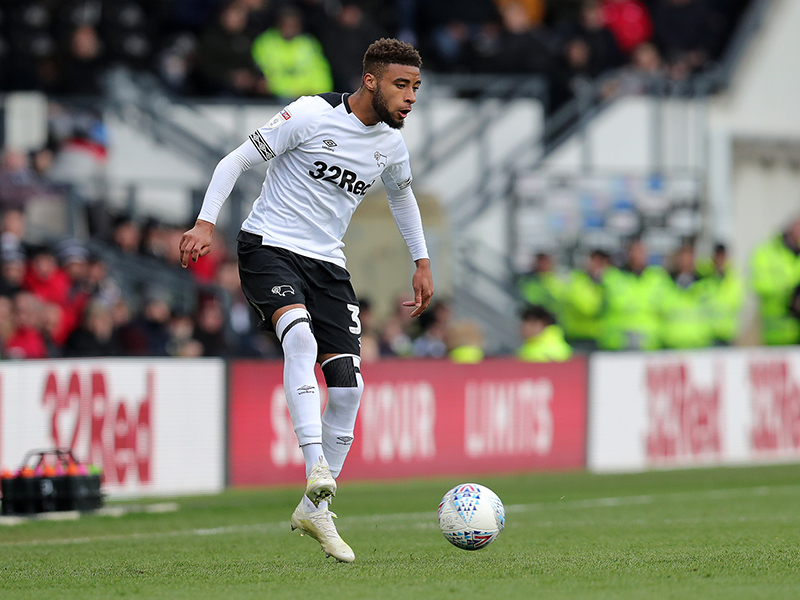 Derby were in control of possession and the game from the opening whistle, owning 70 percent of the ball in the opening half. 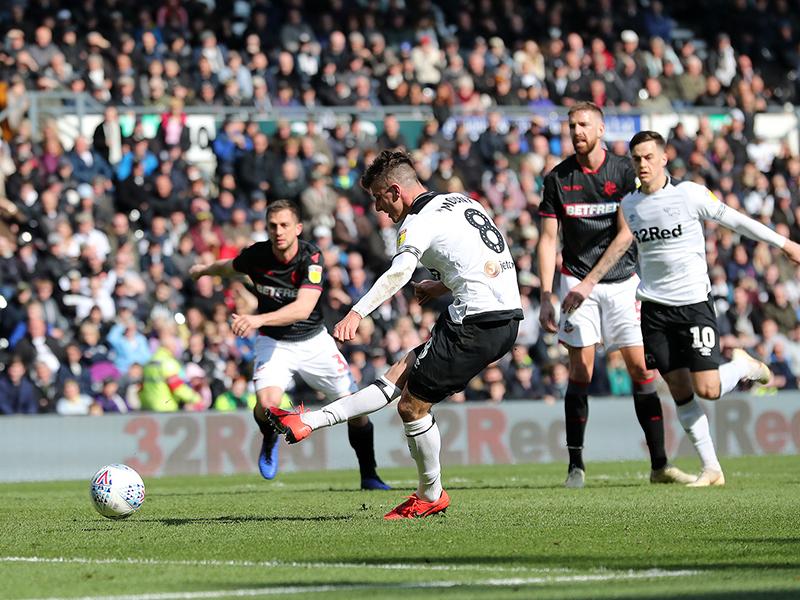 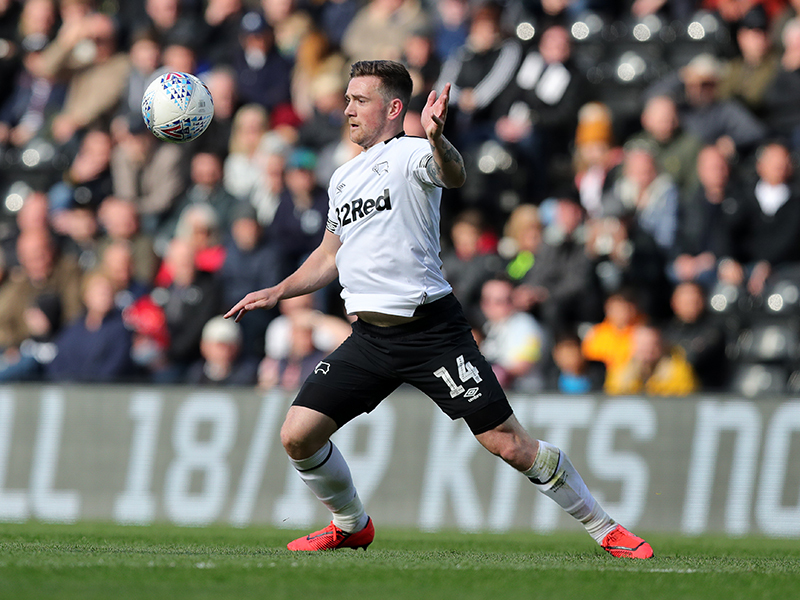 In the opening stages the Rams saw two shots deflected wide, first Mount from 25-yards then Harry Wilson in the 12th minute. 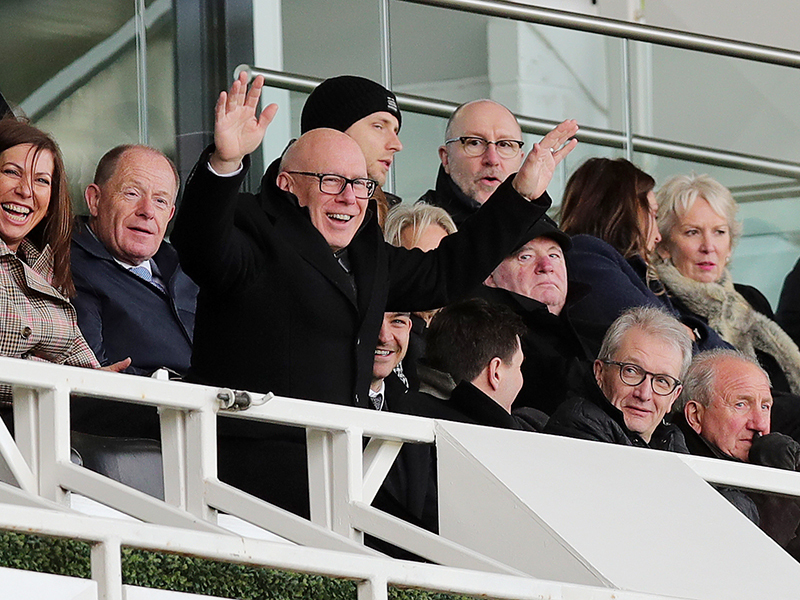 With the Trotters comfortable sitting back, chances for the visitors came few and far between. 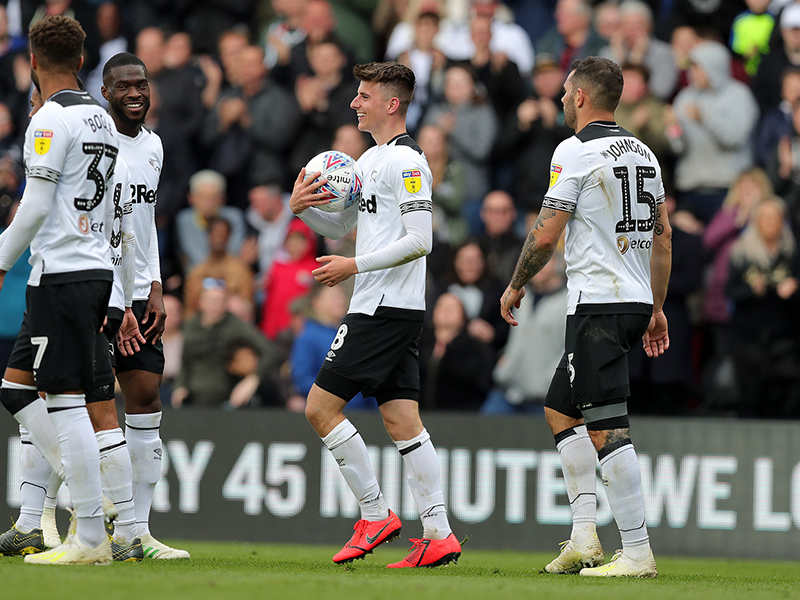 Their only effort in the first-half came in the 22nd minute when Andrew Taylor’s cross was met by a Clayton Donaldson header, directed to safety into Kelle Roos’ hands. 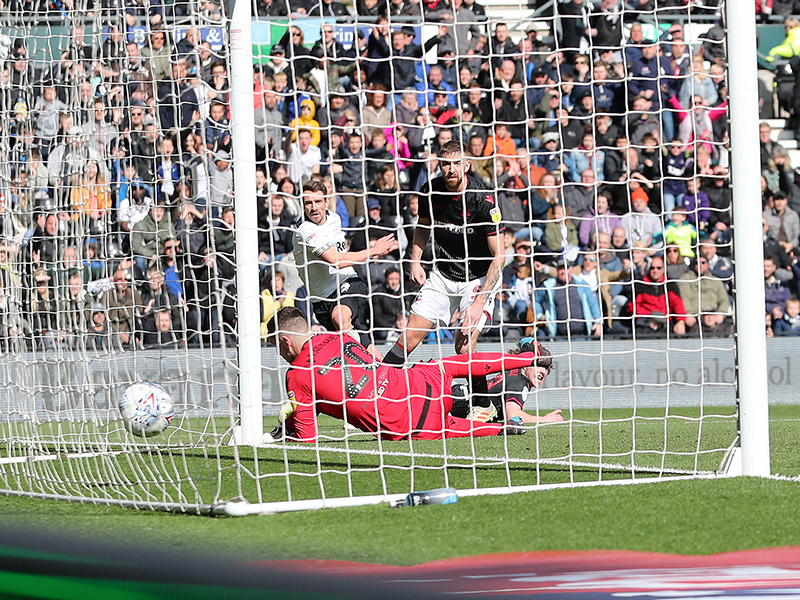 The Rams kept pressing high looking for the opening goal, however, a trio of saves by Remi Matthews around the 30-minute mark denied them. 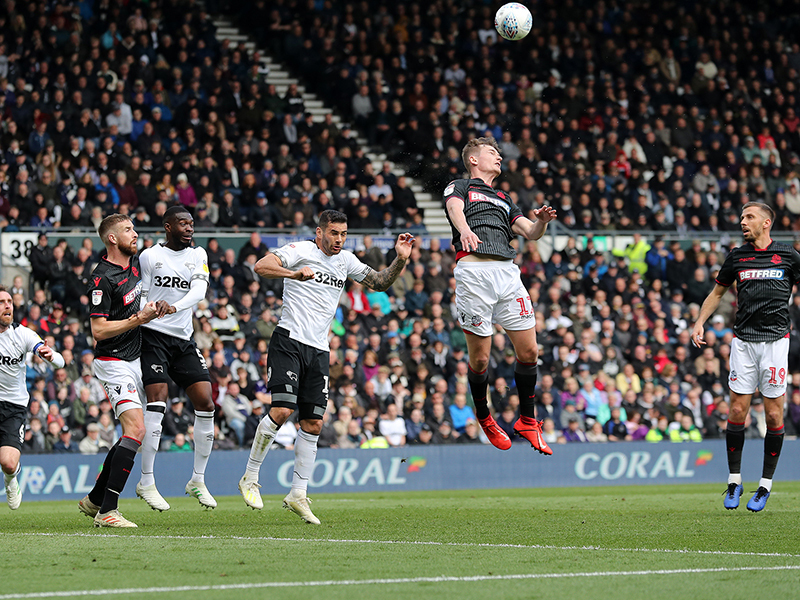 First, Martyn Waghorn chipped the ball over to Bryson in front of the goal, but his effort was pushed wide before Tom Lawrence rifled a shot from the edge of the box. 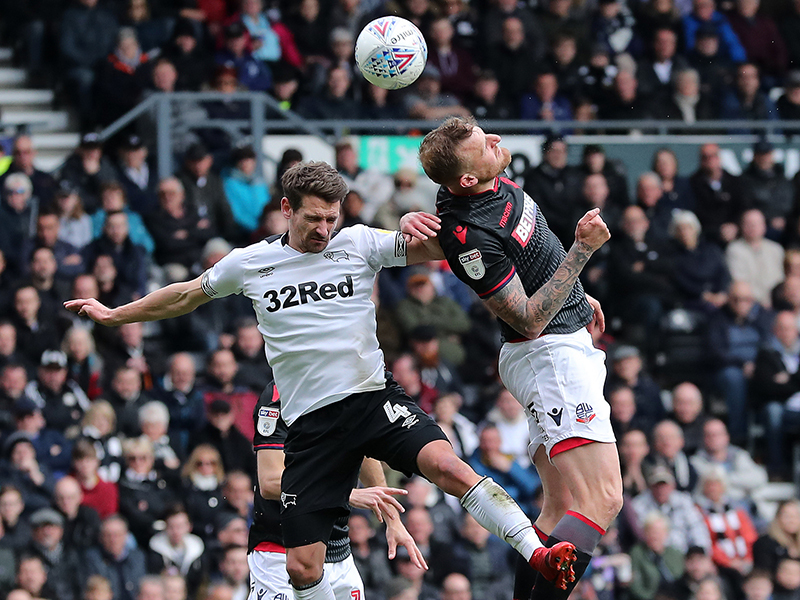 Minutes later, Waghorn received the ball in the area from a Derby corner, turned then shot but his effort was palmed away. 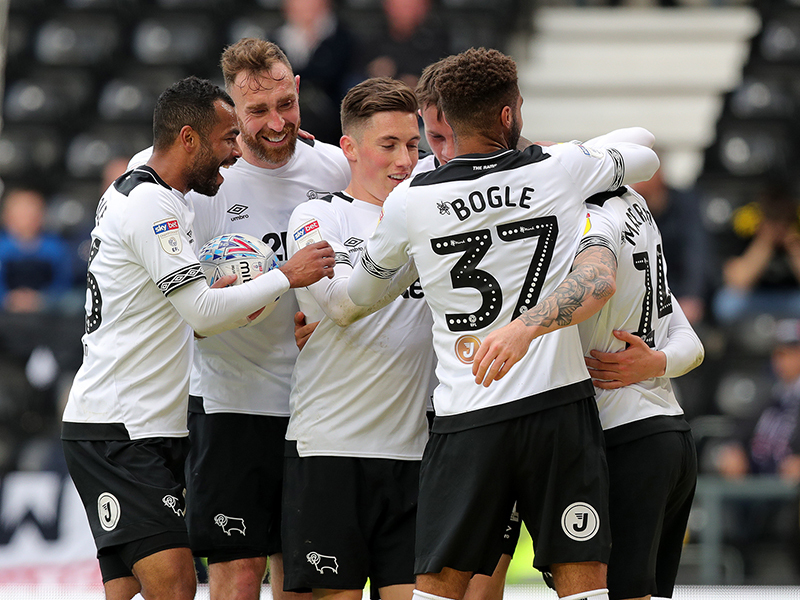 The persistence payed off with less than ten minutes to play in the half. 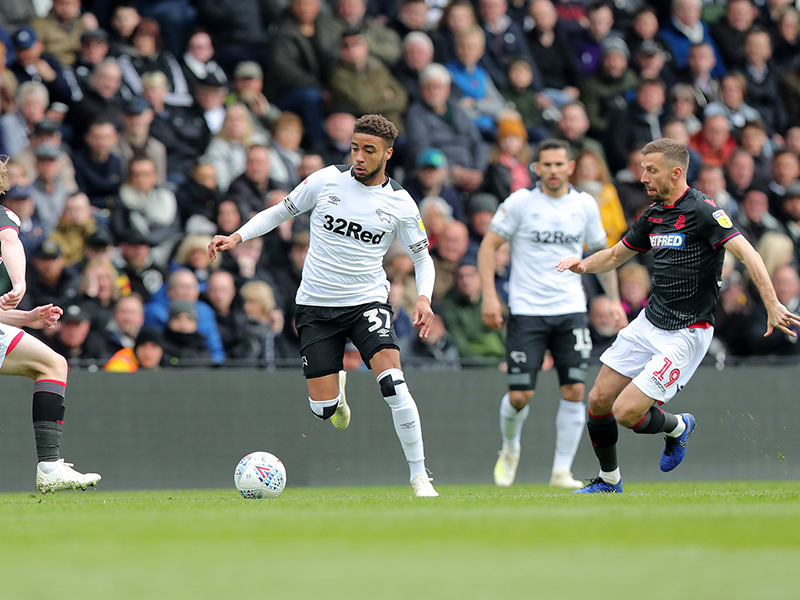 Wilson was hauled down in the area and as the ball popped out, Jayden Bogle swiftly jumped on it to play it down the channel to Bryson who struck from a tight angle into the far corner. 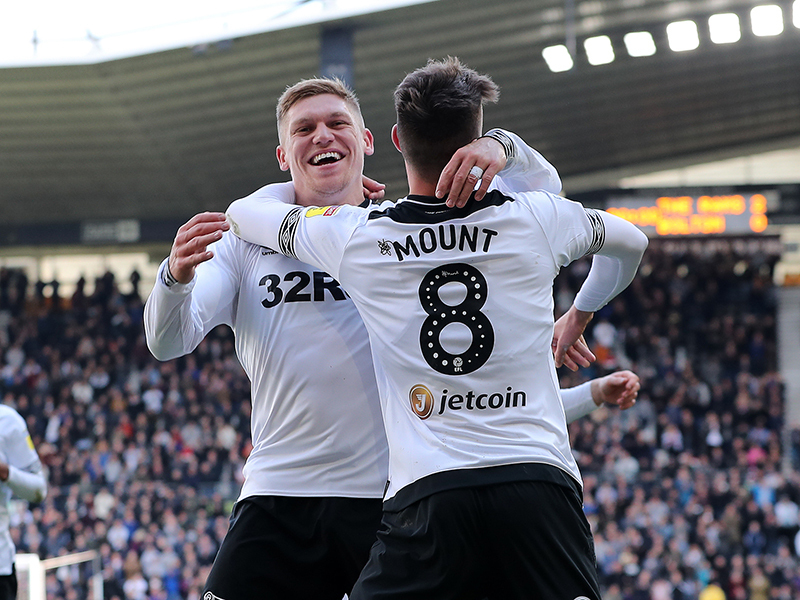 The hosts doubled the lead in added time before the break through a quickfire exchange between Waghorn and Mount in the area. 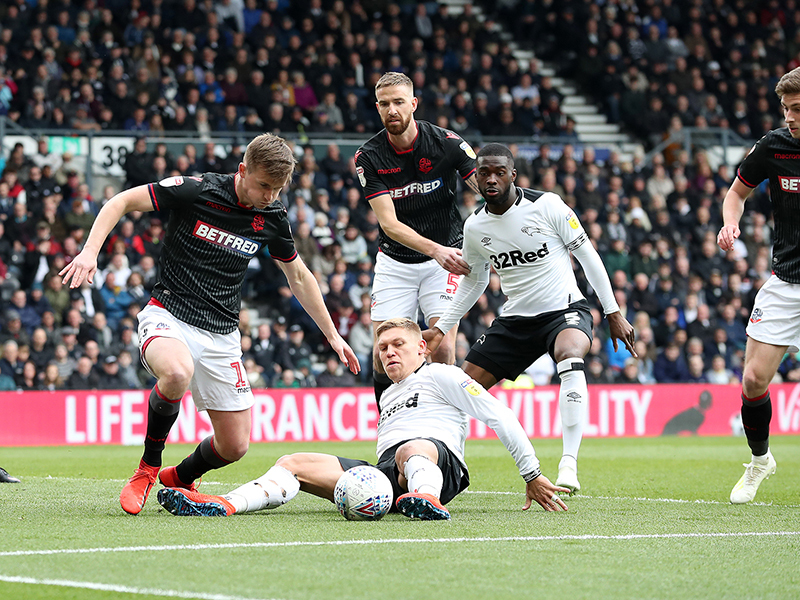 Waghorn slipped the ball through to the midfielder and he coolly slotted past Matthews. 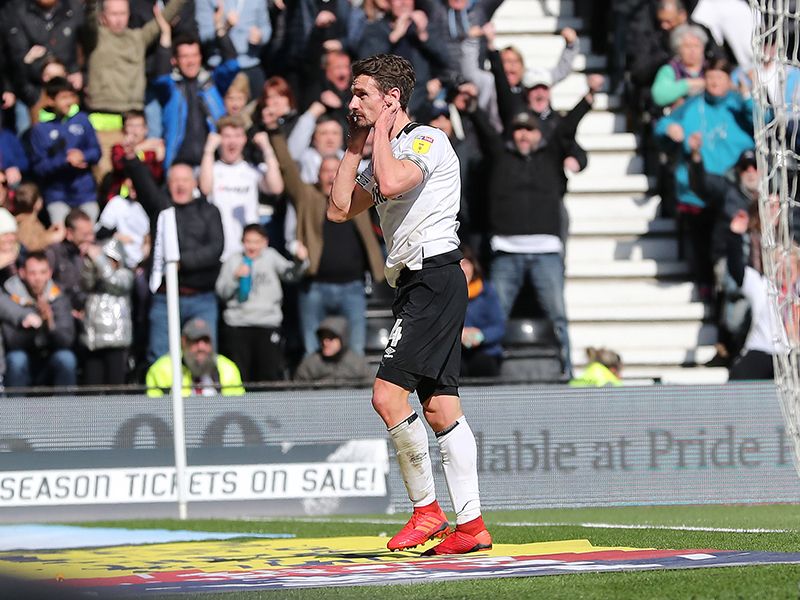 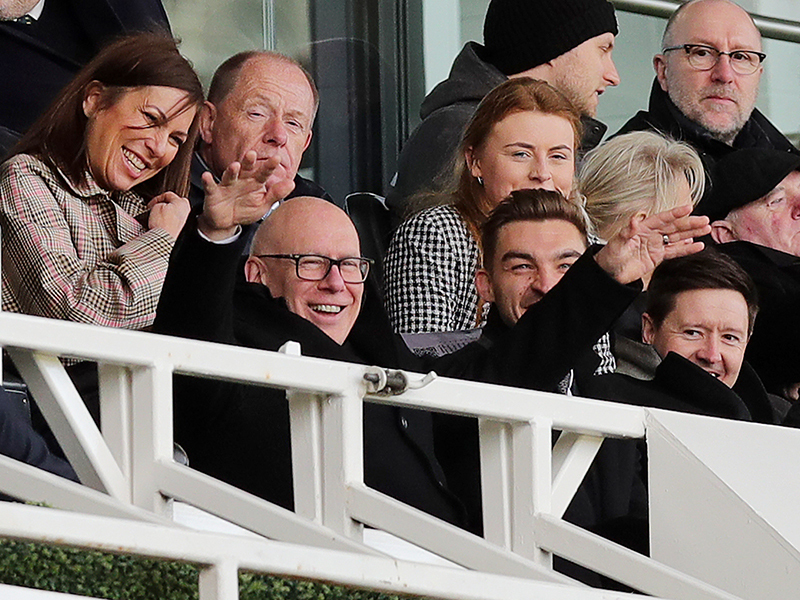 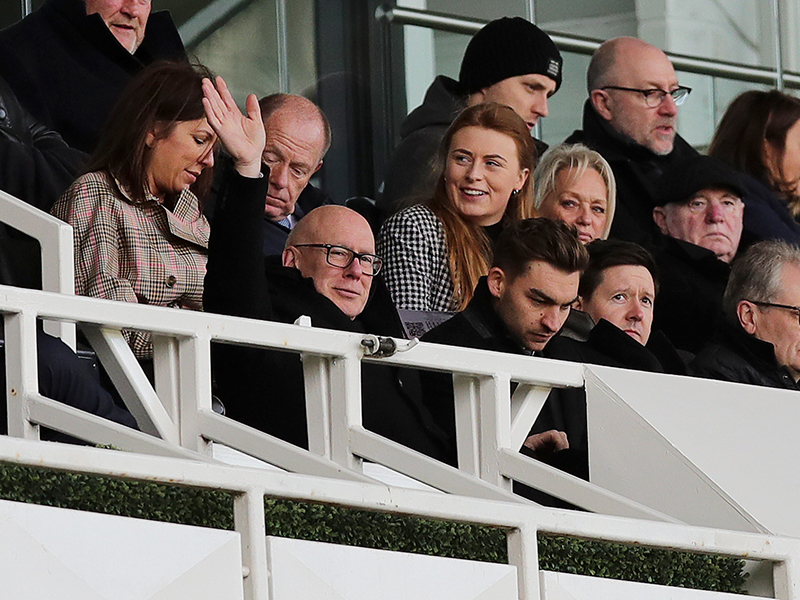 Mount doubled his tally for the afternoon ten minutes after the restart to pull Derby out of distance. 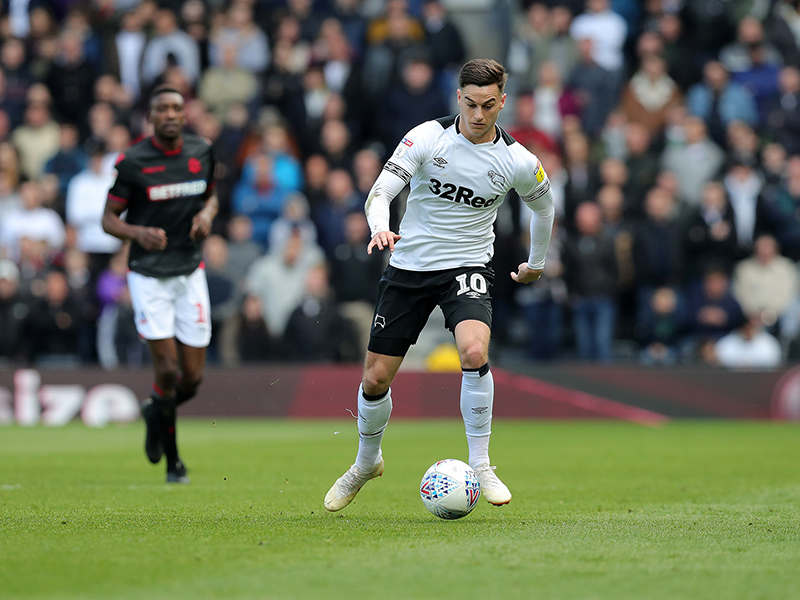 Tom Lawrence whipped a cross in from the left and the 20-year-old flicked the ball up and ran on to head it in from close range. 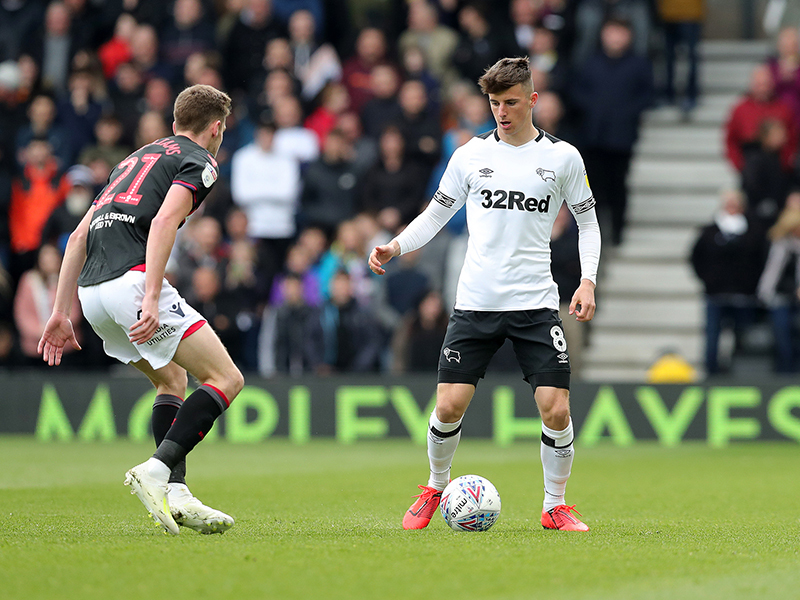 The youngster concluded his scoring in the 81st minute when he was played through in the area by Ashley Cole. 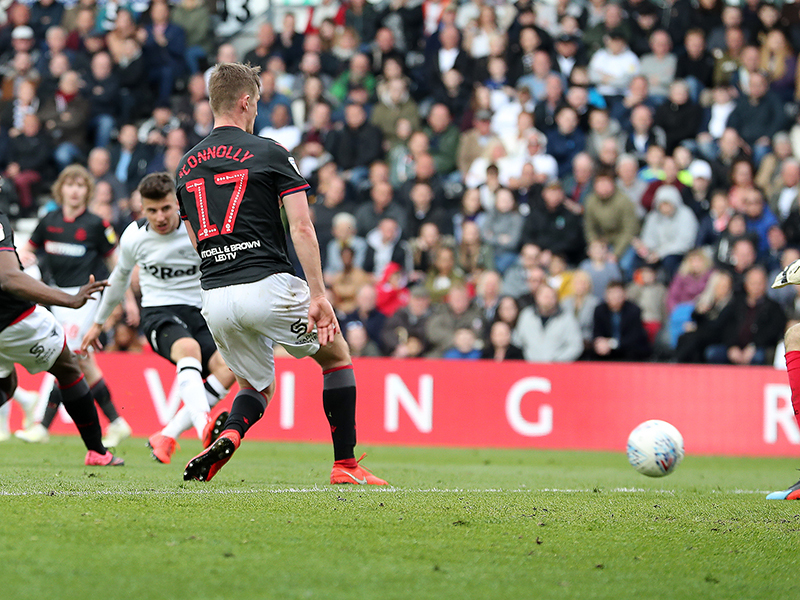 He took a touch and just as cool as his first two, nestled his low strike into the bottim right corner. 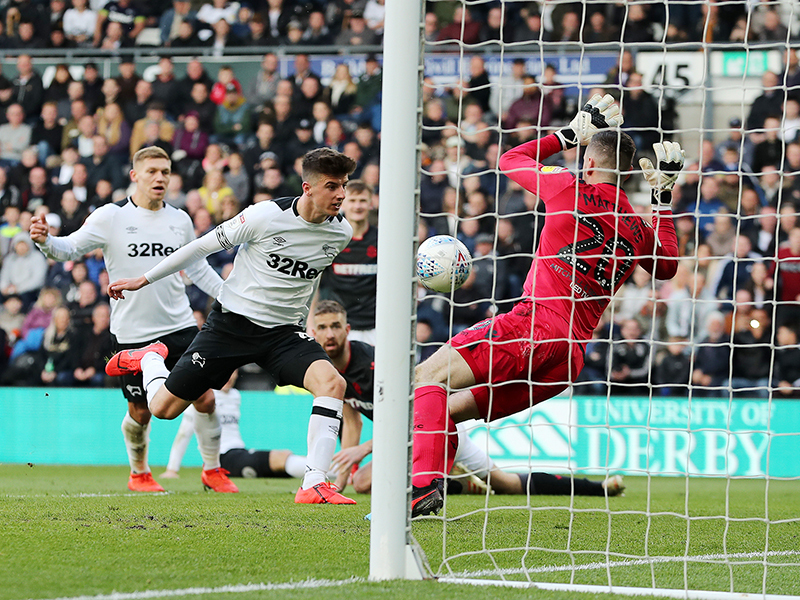 Roos made a last minute save to keep the clean sheet for the Rams when he dived to palm out a long-range shot by Donaldson.